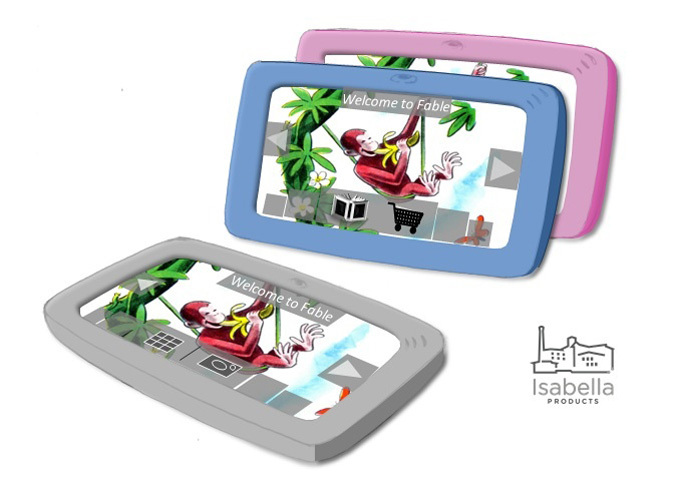 Isabella Products announced Fable, a 7-inch android powered tablet, designed specially for kids. It feature intuitive Isabella’s patent-pending carousel navigation interface and will come pre-loaded with world-famous children’s content from their strategic partner Houghton Mifflin Harcourt. There isn’t much information about the specs of the new children’s tablet, but it will run a customized version of the Android operating system coupled with a secure connection to Isabella’s VizitMe.com content management system, and will enables children to interact with educational and entertaining content at home, school or on-the-go. The tablet will have a build in camera, also will include drawing, gaming and photo sharing apps, will come with selected content from HMH’s treasured storybook collection and the option to purchase additional eBooks from Isabella’s VizitMe bookstore or directly from the bookstore located on the Fable device. The tablets will allow parents controls over the device’s access to new content and also to adjust the tablet’s settings remotelyt hrough a password-protected account at VizitMe.com. 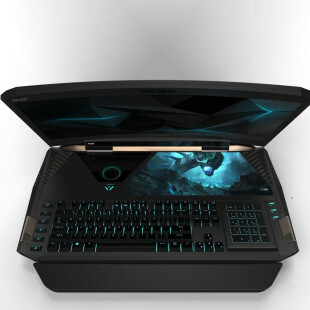 The Fable tablet will be available in mid 2011 at a price point between $149 and $179.